Enjoy our Spectacular Fall Colors! 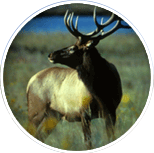 Browse our website for scenic drives, area wildlife, campgrounds, kid's activities, guided fishing, rafting, hiking trails and loads of dining and lodging information! 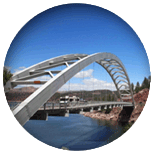 You'll find there's thousands of things to do in Flaming Gorge Country. Roll over a topic below and get started! Find your special campsite along the lakes, rivers or forests of Flaming Gorge, we offer over 600 camping and picnic spots to choose from! Meet the Locals! Watching our abundant wildlife is a year-round pastime for locals and visitors alike. Every single road we drive around here is a state or national designated scenic drive. Best to keep that camera handy! 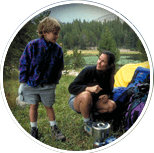 Hundreds of miles of hiking trails beckon you to experience our vast outdoor splendor, from lakeside strolls to awesome overlooks to timberline treks through the High Uinta Wilderness. Welcome to our fishing paradise! 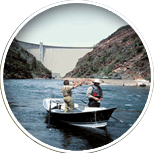 Hundreds of lakes, world record trout, renowned guides, the fabled Green River – need we say more? 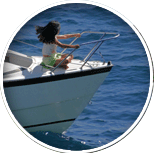 Lake Flaming Gorge is 91 miles of boating adventures - you will run out of gas long before you run out of water! 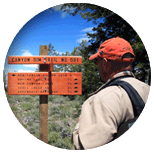 Thank you for visiting http://www.flaminggorgecountry.com/Things-to-Do! Be sure and revisit flaminggorgecountry.com frequently for content updates and more.